Product #16108 | SKU MBSV-SB-50BB | 0.0 (no ratings yet) Thanks for your rating! 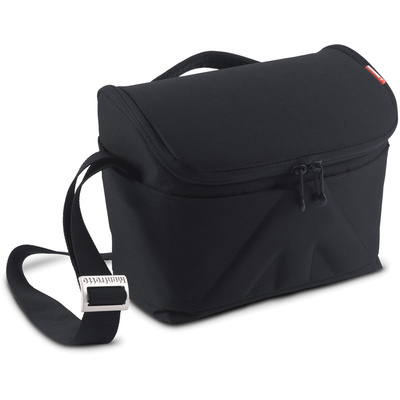 The Amica-50 shoulder bag is a stylish everyday bag, extra padded to offer better protection for a DSLR with attached standard zoom lens and 2 extra lenses. Easily accessible pockets – inside and out - help organize photographic accessories, as well as smartphone, keys, pens etc.